“What do you want to be when you grow up?” Ahhh…the age-old question that adults have been asking kids for generations. For some, it elicits thoughts of possibility and future dreams. For most, the response is anxiety, fear and dread…sweaty palms and heart palpitations optional. As a parent, you want the best for your child. So, what can you do to guide them to make this really big life decision, without doing it for them? When applying to college, schools give the ability to declare a major right on the application. However, most will allow students to put undecided if they don’t know yet. Students normally need to declare a major by the end of their sophomore year. This allows general classes and graduation requirements to be taken at the beginning, and usually still enough time to take all required classes for the major in the last two years. There are some exceptions to this for specialized programs, where they need to decide earlier…or risk being in school much longer. The average adult has 11-12 jobs in their life. 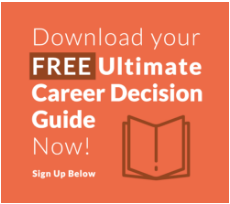 Many end up pursuing jobs or an entire career different than the major they had in college…and that’s ok! In a perfect world, students pick a major and pursue that path. But not only is that not likely, there are millions of success stories of adults who didn’t do that, and were still able to build a career and a life they love. Did that happen to you? Share your story with your child. Sometimes they just need to hear that it will all work out in the end. Let them know you want to help them think through things, but want them to make their own decision. This will encourage them to participate in the conversation. Ask questions: what do you like doing? What interests you? What type of environment would you like to work in? How much money do you want to make? What do you want your average day to look like? Is there someone you look up to that you might want to follow in their footsteps? Provide suggestions based on their answers, both from your own knowledge and/or helping them to research further. Let them know they can come to you with questions at any point. Suggest they reach out to people that are currently in a field they’re interested in to interview them, or job shadow for a day. Both are great ways to ask questions and learn more about a potential field. Encourage them to seek out part time jobs or internships in a field that interests them. This allows them to see first hand what a career might be like, and decide if it might be a good fit for them. Don’t try to force a specific career path on them because you think it’s what’s best for them. Conversely, don’t dismiss something they’re interested in just because you don’t think it’s a good idea. Let them do more research, and hopefully come to the right decision on their own. Bottom line…ask questions, provide suggestions, and guide them…but don’t do it for them. They need to learn how to take initiative and make decisions on their own. You love them, but you won’t be there forever. They need to start learning how to be an adult on their own, with encouragement and support from you. Show them the ropes, and then let them climb to the top on their own! Need some additional guidance? Check out Student Career Academy to learn more about how we can help!